Tradition, as defined by nearly every dictionary, is “The passing down of elements of a culture from generation to generation, especially by oral communication.” While most traditions appear to be harmless, they are usually the buttresses to bulk up and maintain separation and alienation of people. To this end ghettos, from the early Middle Ages through the terrorism of NAZI Germany and now impregnated throughout the world is the bulwark of evil, racial and gender discrimination from 401 to the present, to religious persecution of non-Christians with Constantine I’s founding of his “catholic (universal) “,1 and forced those who did not convert to Christianity to pay for the building of his new capital city,2 to the attack by Romans on Christians and Christians on Romans,3 etc. show the length of what people will do to gain and retain power. It is furthered by Facebook and its serfs: HuffPost, and others social media that requires members to sign up for Facebook that is an unofficial arm of the NSA. Professional provocateurs push past all boundaries of decency deny access based on a single identification source creates a police state that is everywhere, disguised and undisguised, and is equal to plutocracies and political pornocracies from Uganda and its nefarious Internal Security Organisation (ISO) that is used against its own citizens if they live with or love someone who Rebecca Kadaga, Speaker of Uganda’s Parliament finds offensive. 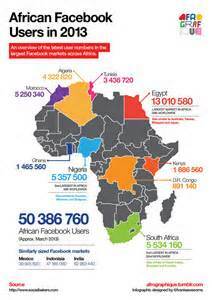 Facebook is worldwide, and growing in Africa. It is used both for and against Human Rights, with an exceptional time removing anti-hate and anti-Human Rights messages. The number of messages expressing fervent rejection of basic civil liberties multiply as the number of users rise among the poorly educated and those who are indoctrinated by radical evangelical extremists from the USA, such as Scott Lively of Massachusetts who openly fund pending legislation limiting freedom and calling for the death of those who do not fit the base theology of the gospels, but cater to bad translations of the writings ascribed to Paul (Saul of Tarsus) that continues to press down people with the blessing of the Vatican. An increasing number of users of Facebook come from the illiterates living in gutters and feeding on sewage while listening to evangelical extremists from the USA, such as Massachusett’s self-proclaimed preacher Scott Lively. 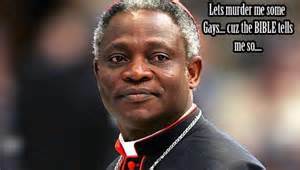 Like most ministers, Lively has no biblical studies and is ignorant of all ancient languages, but justifies his crusade for bloodshed throughout Uganda and Nigeria set into the stone tables of bad translations of ancient scripture that do not justify his attacks on human rights or civil liberties. 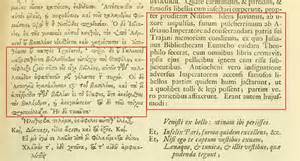 Emperor Jovian orders burning of Library of Antioch for possessing pagan (ancient) scrolls. 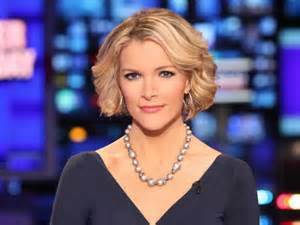 This same ignorance sits in the Speaker of Parliament’s chair who claims that she is a Christian (in the mode of Constantine I and the Council of Nicaea in 325 CE that burned innumerable books, gospels, and letters that the emperor did not agree with or was urged to incinerate by warrior bishops who attacked non-believers in one of the early communities bloodiest wars to push their agenda through at the expense of open debate.) 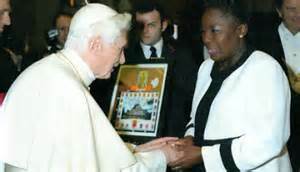 Rebecca Kadaga is a Biblical illiterate, knows no ancient language or familiar with an ancient textm but follows Paulinity in its most absurd translations and actions as with the Emperor Jovan. Latin America was a prime target for the thugs at NSA, especially fixated on Brazil.26 Brazil had the strength of courage to retaliate against the USA by rejecting a Boeing aircraft bid for 36 jets. 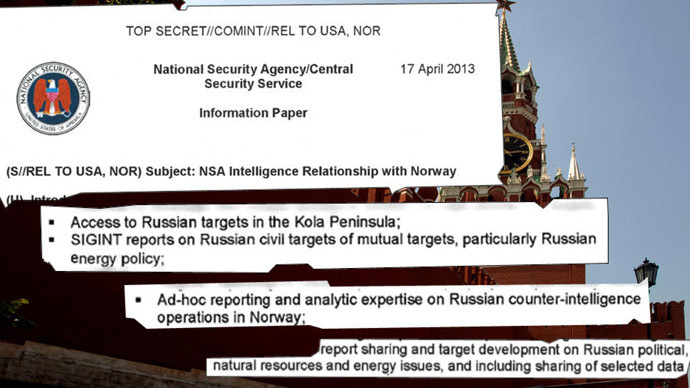 NSA arrogance cost the USA aircraft giant $4.5 billion–buying from SAAB instead. Not just nations and their leaders were targeted by most vile invention of USA’s government, but, so too, were cities. 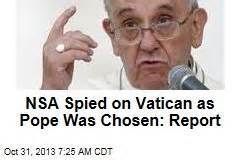 NSA even spied on the Pope and the Vatican–especially during the conclave that elected the Argentina primate pope as Francis I (born Jorge Mario Bergoglio, December 17, 1936).32 The National Security Agency of the USA listened to 46 million phone calls made from and received in Italy from December 10, 2012, to January 8, 2013. This included listening to privileged conversations in and out of the Vatican to determine the Vatican’s leadership intentions, threats to the USA faltering financial system, foreign policy objectives and human rights that could affect business interests in the USA.33 The treacherous turpid ill-conceived viperous NSA cast its twisted tarnished tentacles throughout the Internet, making the USA the most hated nation on the planet. NSA’s reprehensible tactics are seen from all quarters of the globe in the most diminutive to the most diabolical ways that have become adaptively fashionable on Facebook and other social media whose primary goal is revenue enhancement at the expense of their clientele. Such beastly barbaric pandering is common now, especially with popular entities that people do not realize the threat they pose to their own individuality, identity, or prosperity. The passel of doctrinaires require total access to individual information that can be bought, sold, or eavesdropped upon by nations, employers. News media, such as HuffPost, requires all people to be registered with Facebook: a social media that not only invades personal privacy but sells information the highest bidder, leading to more than 500 major world figures to petition the United Nations that democratic rights must apply in virtual as in real space.34 HuffPost loses increasing numbers of would-be subscribers because of the authoritarian diktat demanding Facebook membership–a confederacy they do not want to be a part of for various reasons, as those who reject Facebook membership do so because Facebook is not a useful tool: it’s an electronic mechanical window to learn things about people that are usually no one’s business, a place for spite and hate and attacks against others who are weaker and more easily bullied into committing suicide, and a breeding ground for drama. 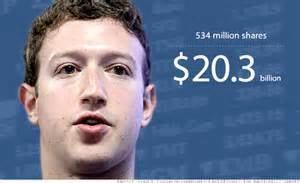 Facebook has made its creator a multi-billionaire, CEO Mark Zuckerberg (born May 14, 1984). Zuckerberg has frequently been compared to Big Brother of the famed novel 1984, and lives off the advertising revenue generated by sales of personal information from Facebook that now has a membership of more than one billion people worldwide–and Zuckerberg makes no pretense of charity but flatly states he wants everyone on this planet to be on Facebook. Neither Zuckerberg nor Facebook has a problem with invading personal lives, and has been sued by many courts.35 Today the crimes of Facebook and its billionaire founder are multiplied by the draconian and odious opportunists at HuffPost that have made the system selective secretive and user-unfriendly unless every knee bows before it and proclaims it to be the messianic fulfillment of the dream of a few. Many of those who committed suicide were active on Facebook: ridiculed, bullied, attacked physically and verbally, and made to feel unwelcome. Facebook does nothing to control, contain, or suspend the accounts of bullies, even when bullying is brought to its attention by the individuals bullied or their parents. Suicides are always a last resort when the weight of being bullied, especially in cyberspace, where to appears no safe haven. 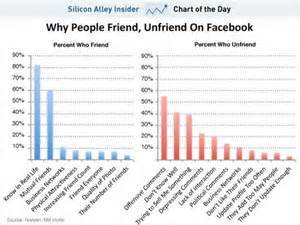 Bullying has a significant presence on Facebook but is rapidly on the rise on other social media sites. British teacher Lita Broadhurst, age 48, said goodbye to her two sons on Facebook before leaping to her death in Almeria. Most of those who take their lives, who do use Facebook, are under the age of 19, as I have detailed and authenticated with citations on other blogs on this site. It is not just the young, however, as even parents on Facebook who felt their children drifting away from them because of Facebook felt compelled to end their own existence. Facebook occupies more time and attention of children than they afford their siblings or parents. Many spend as much as eight hours a day on the social network, and for many, their grades decline proportionately. 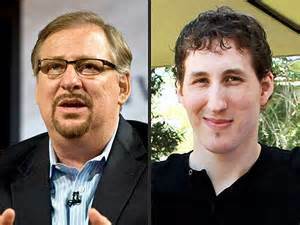 Author and mega-church pastor Rick Warren and his wife, Kay, have been pushing Christians on social issues for the last decade, alienating many, even his own 27-year-old son Matthew. Among the most recent was Matthew Warren, the 27-year-old son of hate-mongering pastor Rick Warren whose main target, like that of Scott Lively, has been the LGBT community. Matthew claimed he had been depressed through most of his life, always in the shadow of his famous father who ranted against nearly everything. George Orwell’s greatest dystopian nightmare is true day on Facebook and those who serve it, such as HuffPost.38 Rather than condemn the NSA, Zuckerberg attacked the government, claiming that it “blew it” by discussing the NSA and its clandestine activities.39 Zuckerberg acknowledged that Facebook had received 11,000 to 12,000 requests in the first half of 2013 for private data from Facebook users. 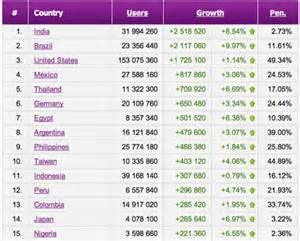 On June 14, 2013, this figure was revised upward to 18,000 and 19,000 accounts. Facebook complied with 79% of the requests, and was determined that the entire world would use Facebook–by making it impossible for any online network to survive without Facebook. 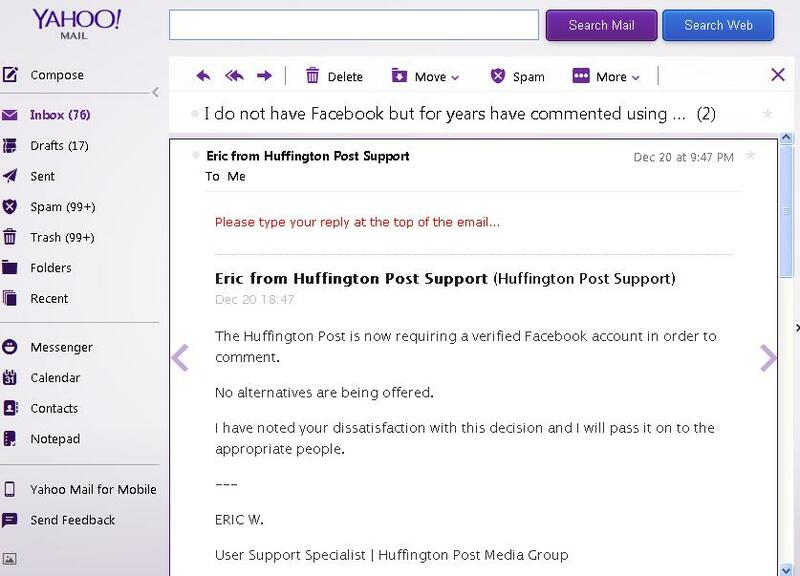 This brought in HuffPost and Yahoo as additional subservient satrapies rejecting all other social messaging groups such as Disqus, so that Zuckerberg would reign over in quest of control of the planet,40 where the global growth of such devious giants as Google and Facebook is threatened due to the patriotism of Edward Snowden who was able to expose the illegal, immoral and unethical activities of the NSA and its contributors.41 Snowden didn’t dupe coworkers into handing over their passwords, as one report has claimed.42 Nor did Snowden fabricate SSH keys to gain unauthorized access.43 It was given to him. Today, nations, organizations, and schools are righteously blocking Facebook. Facebook promotes the sharing of personal information for marketing purposes, and to generate revenues for Facebook and companies that require it for verification of identities such as the pathetic HuffPost. Class action lawsuits have been launched against Facebook and those to whom it sold private information.46 The crimes of scamming and misusing information from Facebook have been openly admitted to by CEO Mark Pincus47 who stated: “I did every horrible thing in the book just to get revenues.” Others to various degrees have admitted to the same ruse, limiting access or stealing identities, and so forth. Facebook is also sells ad to marketers who resort to tactics like using stolen pictures of apparent under-aged girls to promote their products.48 Now, the once-respected HuffPost must be questioned about its illegal activities and actions as Big Brother demanding that all users join Facebook. Arianna Huffington 2012, photo by David Shankbone. Arianna Huffington (née Stassinopoulou; born Αριάννα Στασινοπούλου; July 15, 1950) was the original founder of Huffington Post, but later sold it to AOL. She was made the president and editor-in-chief of The Huffington Post Media Group, and is directly responsible for the actions of her subordinates. 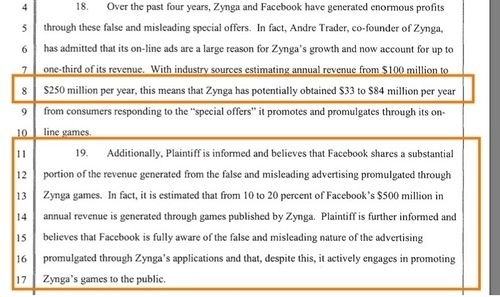 Huffington, Zuckerberg, Pincus, and others, must be investigated for funneling business to Facebook. If the link is established all should face prison terms. 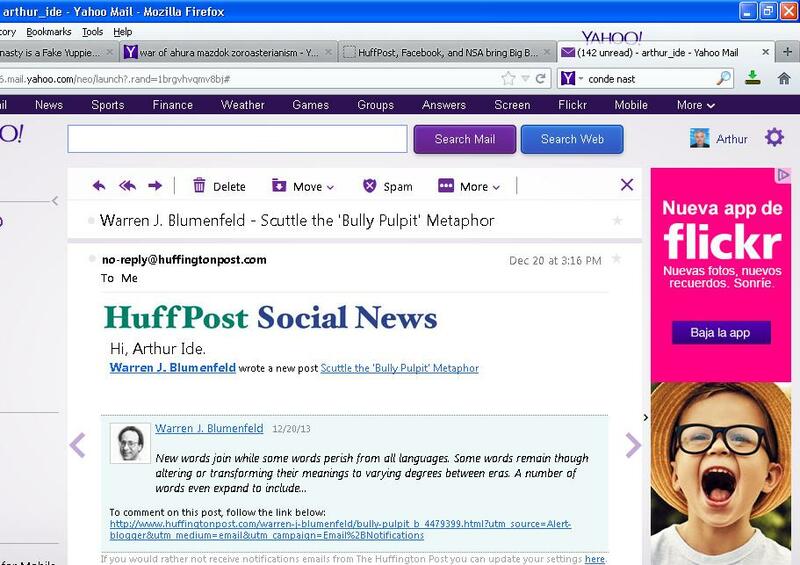 While the Huffington Post has been described as “muckraking journalism,” HuffPost is closer to Big Brother of 1984. Huffington does not listen carefully, and asks the most inane questions, as the New Yorker reported when Arianna had to question her old friend Mort Zuckerman what JDate meant at a private party (it is the name of the most popular online Jewish dating community:50 Jewish Dating).51 JDate is for “nice” or wealthy Jewish men who treat women well; take-charge, independent Jewish women who hold onto tradition.52 Huffington became a citizen of the USA in 1990, divorced her Republican Michael Huffington in 1997, who disclosed his bisexuality in 1998. Huffington is the primary author of several books, the most important giving her bona fides as a writer being one tilting to equal justice: Third World America.53 Realizing that the world is becoming increasingly impoverished, that it is being separated into distinct castes, Huffington has tried to stem the assault on people by the upper two percent, but her HuffPost directs its attack against those who want privacy and will not join Facebook. All of these I tried, and all were rebuffed. I have had a Huffington Post account for years, and left numerous commentaries and references., at Huffington Post’s invitation. My rejection of Facebook is because of the numerous scandals Facebook is involved in. 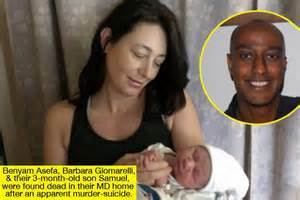 Suicides, physical and verbal attacks are commonplace. Two Florida teens have-been arrested and charged with felony aggravated stalking in correlation with the suicide of 12 year old Rebecca Sedwick. 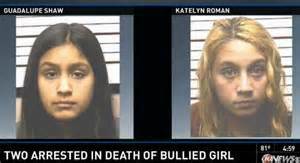 Here are the faces of the bullies (12-year-old Katelyn Roman and 14-year-old Guadalupe Shaw) who caused the suicide of Rebecca Sedwick. In keeping with HuffPost’s alleged dicta for full transparency, this is required–and I approve it. Age is irrelevant when it comes to a crime or a criminal. 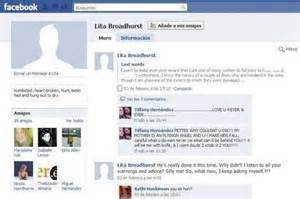 12 year old Katelyn Roman and 14 year old Guadalupe Shaw bullied Rebecca Sedgwick. 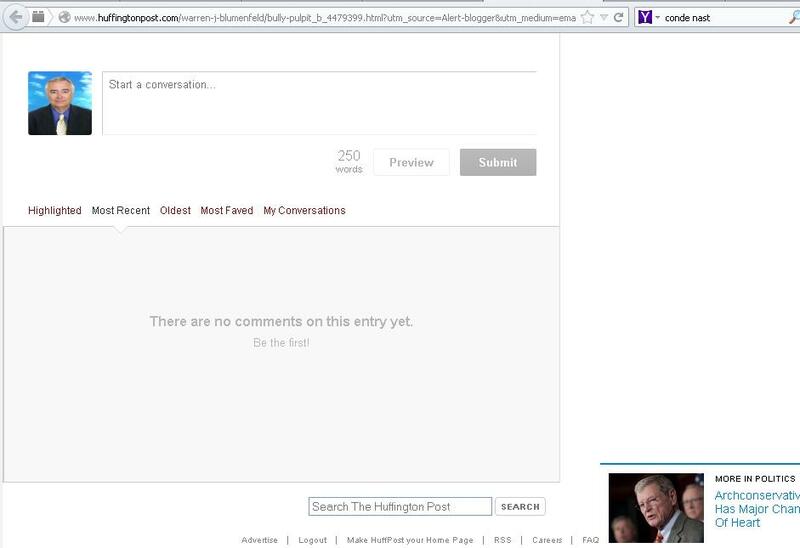 HuffPost declared that all users had to be on Facebook. That is Big Brother’s doublespeak and mind-control. International users are threatened regularly by Facebook, or feel shunned if they are not “Friend”(ed) by others on the social media site, with many committing suicide as a result of this policy and program that brings Zuckerberg millions in revenue.